S. N. Goenka gave his first 10-day Vipassana course in India in 1969. Since then thousands of courses by Mr. Goenka and those appointed by him have benefitted hundreds of thousands of people worldwide. 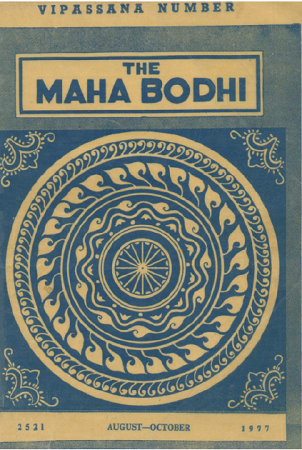 The August - October 1977 issue of The Maha Bodhi, the journal of the Maha Bodhi Society of India, contained articles and letters by students of S.N. Goenka. Especially inspiring are several articles stemming from the 1975 course in the Central Jail, Jaipur.